Keeping backups is vital to ensuring the security and preservation of your company’s data. If something should go wrong, you need to know that yours and your clients’ information is protected and can be retrieved once your systems are back up and running. You can read more about backing up your data here. 2-Factor Authentication (2FA) adds an extra layer of security to your online accounts, and we would advise you use it wherever possible. 2FA requires you to provide some other credentials alongside your password to be able to access your account. The principle dictates that users need to use 2 factors from the following 3; Something you know, something you have, or something you are. This could be a PIN or password (something you know), something physical like a key or card (something you have), or some form of biometrics, such as a fingerprint (something you are). Read more on password security here. Be on your guard with emails, particularly if they are unsolicited. 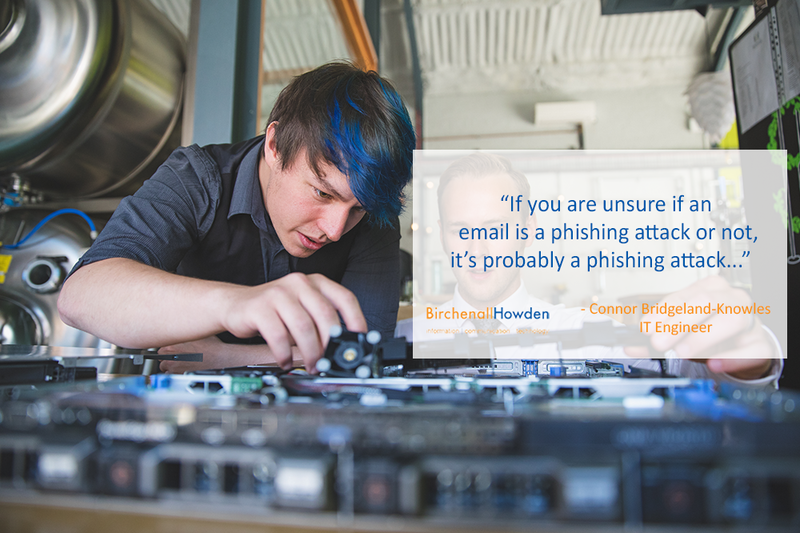 Phishing emails are becoming increasingly common and more and more businesses are losing time, money and data to email scammers. We have some tips on how to spot phishing emails and how to avoid being scammed. Before you give out any crucial information such as usernames, passwords or client data, you should always verify whether you are sending it to a credible source. If you are unsure, do not give out anything. If you suspect you have received a phishing email, contact the relevant company or individual directly (not using any contact information provided in their email), and double check that the URL of the website you are using is the correct one. Remember, just because a website has a green padlock, does not mean that it is legitimate; it only means that the website is secure. While 2FA is great as an extra layer of security, if you have a strong password initially, your security will be much better to begin with. Password managers are excellent for generating strong, random passwords for your accounts and storing them for you so you don’t need to remember them. Read more on password managers here. Another great tip is that if you are given the choice to sign up to a website using Facebook or Google, don't do it. It may be convenient, but you pay the price of giving Facebook/Google more of your data. It also gives people who would steal your information a larger area of attack. If you would like more help and advice on keeping your organisation as secure as possible this year, please get in touch, we’d love to work with you!